Samui Sense Beach Resort, Lamai Beach, Koh Samui. We are a small boutique hotel, with only 44 rooms, comprising of 6 Poolside Villas, 8 Thai Villas, 20 Superior Rooms, 8 Junior Suites and 2 Executive Suites. 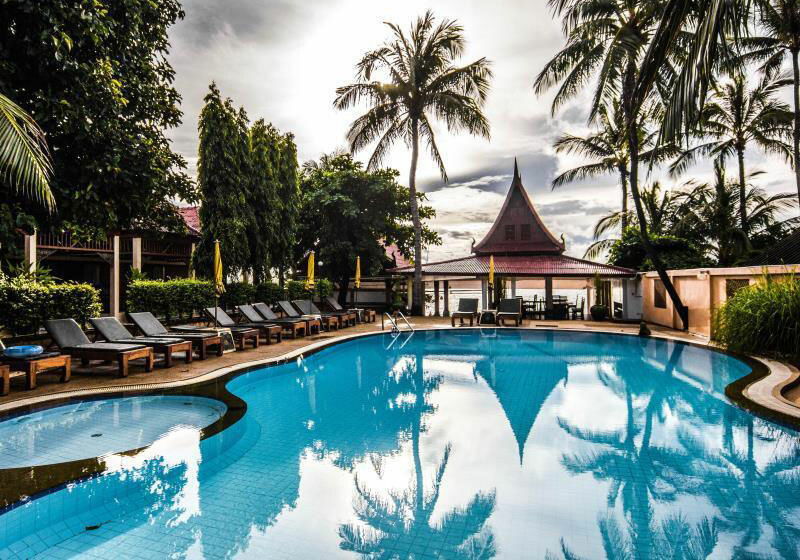 Located in the middle of Lamai beach, Koh Samui’s white sandy beach with various shopping and nightlife entertainment , Samui Sense provides you with an ultimate comfort in one of Koh Samui’s best location. We are only less than 30 mins from Koh Samui’s airport and only 15 mins to Chaweng nightlife area. Our small boutique hotel has recently been upgraded to a true four-star boutique hotel standard, blended with Koh Samui’s original design concepts, our hotel accommodation design ranges from traditional Thai architecture to modern contemporary. Our 44 units comprises of 6 Poolside Villas, 8 Thai Villas, 20 Superior Rooms, 8 Junior Suites and 2 Executive Suites. Short Description: Samui Sense Beach Resort, Lamai Beach, Koh Samui. We are a small boutique hotel, with only 44 rooms, comprising of 6 Poolside Villas, 8 Thai Villas, 20 Superior Rooms, 8 Junior Suites and 2 Executive Suites.